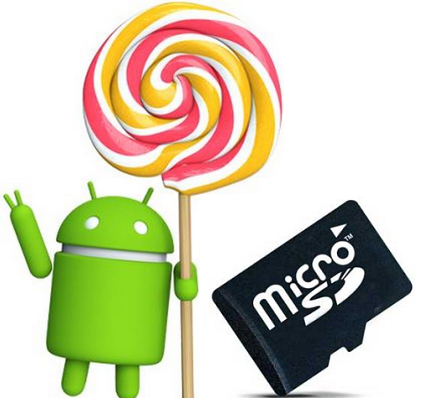 Android Lollipop is bringing a sigh of relief for its faithful users by alleviating the pain of restrictions imposed on Micro SD card by Android KitKat. Android 4.0 KitKat update brought some restrictions on the Micro SD card which allowed apps to write data only in their own folders within the SD card. There has been so many articulation on this approach taken by Google. While Google chose to explain it in terms of security benefits, others had different views altogether. According to Google, the main reason behind this restriction is to refrain folder tress getting messed up leading to folder creep problem. Even though the explanation is legitimate and a good effort but it did worse than good. Searching and exploring folders and writing data to any folder was put to on end which severely damaged the reputations. Users even stopped updating from JellyBeans. There raised an argument that this is nothing but an agenda of Google to push people to become affable with the cloud service. Finally the sweetest version of Android, as Google says Android 5.0 Lollipop is abating this restriction. In Android Kitkat, developer of File Explorer Tod Liebeck even created an app for rooted devices that removed the limitation of Micro SD card access. So File Explorer was fortunate only to work steadily. Now things are changing and Android Lollipop is bringing a balanced blend of security with an appreciable extent of freedom.